Hey guys trying to get an idea of value on a running 1972 2.4 911e. Serial #6221117, 911/52. Also Webber 40 IDA C3 one marked 4H one 4D. I also have video of the engine starting and running this past Saturday February 23, 2019 before removing from the car. Unfortunately I do not know how to upload the video. Video of the engine starting and running here. I hope no one minds I am bumping this thread to hopefully get some insight and direction so I can list for sale? First to clarify, I am looking to price this motor as a long block. I am looking to price the Webers separately. The SSI's and custom two in two out muffler ate not included. So here is what I have found so far. DC Automotive has several 2.4 Ebay listings as "rebuildable cores". One with CIS at $7,280.00 the other with MFI at $13,440.00. 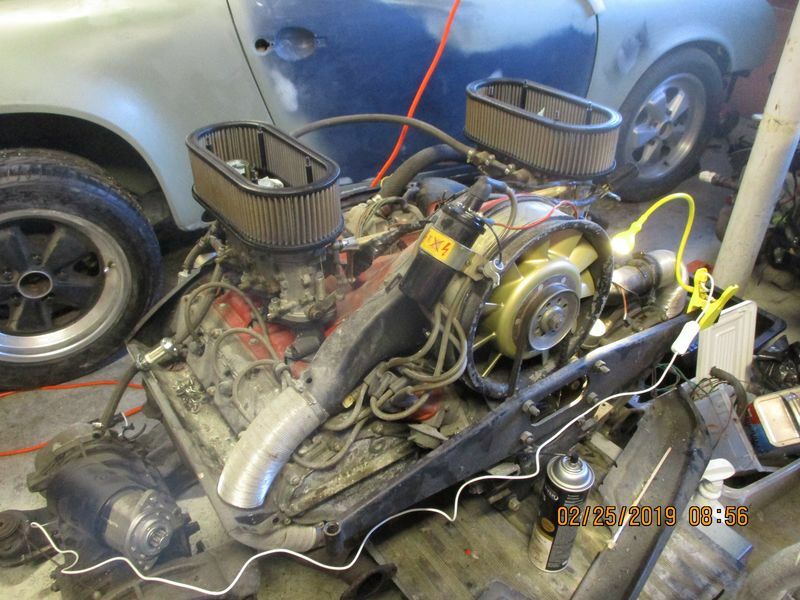 They also have listed, two, 1970 2.2E long blocks one at $8,400.00 and one at $13,440.00. Both identified as "Used". Based on their description below I think my 2.4 could be classified as a "good used engine". Am I out of line valuing this engine at $8,500.00 as a long block? I do have CIS that I could include for an additional cost. This is how DC categorizes their motors. We define a good used engine as one that has been test run and is not smoking, knocking, ticking, clicking or otherwise exhibiting any signs of bad health. If we know the mileage, it will be listed. There are cases where we test run an engine without it being in the car, hence it's a good running used engine but we cannot provide the mileage. All engines are sold as-pictured, meaning any accessories or ancillary components pictured are included, and if it is not pictured, it is not included. We warranty all good used non-core engines for 90 days against smoking, knocking or other internal malfunction. Accessories and ancillary components are provided as a convenience and not covered under warranty. We define a good buildable core engine as one that has no internal or external breakage, rotates freely and has no internal damage beyond normal wear and requires full disassembly and reconditioning. Normal wear and tear commonly consists of worn bearings, worn bearing journals, worn pistons/cylinders/cams, worn valves/guides, and any other normal non-catastrophic ways which make an engine not ready for immediate use. They will not have broken parts unless specifically listed as such. Core engines may be bare short or long engines and may or may not have any accessory or ancillary components present. Please review the photos of each individual engine to determine what is included. We warranty buildable core engines to be free from physical breakage of the case/block/heads/etc or any internal breakage rendering them not suitable for reconditioning for 90 days, ancillary/accessory components are not covered under warranty. If we know the mileage on a buildable core engine it will be included in the listing along with the serial number and engine code. Last edited by drcoastline; 02-27-2019 at 05:05 AM..
around the $6500 range. The fact that it is running is good but I'm guessing it will need a refresh. Maybe someone wants to use it is as...Leak down numbers would help. As John suggests, you need to ignore the CIS engine. That is a 73.5 T engine and not a comp. The engine with MFI may be a comp, but you don't say if it's an S, E or earlier T engine. However, it does emphasize one key point; a complete MFI engine with it's MFI attached is worth SUBSTANTIALLY more. Like $5-6k to my reckoning. I'm in a similar situation. I've got a 2.2E engine in my 75 that I've considered selling. Like your engine, it's on Weber carbs and no longer has its MFI. What I settled on in my mind is similar to what John says. I consider you (or my) engine worth $6500 for the engine and $2000 for the carbs. I would offer it priced like that and a "package" price of $8000 for engine and carbs. Thank you guys, that's what I needed to know. I know my engine is MFI but wasn't sure if the CIS would work so was making know I had it if needed. So after a few days of cleaning and refreshing it looks like it did some time ago. Based on the start procedure and going through this over the past couple of days I am confident this engine is still in good shape. It has less than 100 miles on it since the rebuild. I am considering put this engine back in the car and running it for a hundred miles or so to see if it has any issues. I have also been looking at MFI systems to possibly put on this engine as part of the sale. Obviously adding the correct MFI changes value. But, is it worth it? How about putting miles on the engine will that make any difference on value? Last edited by drcoastline; 03-04-2019 at 05:03 AM..
best bet is to put it in the car, if someone wants to PPI the motor, they can easily hear it run, see it start warm or cold....they can have a shop do any number of tests to it, beyond leak down and compression.....and if they are local, they can drive the car. Put it in, run it, take a video, and get a leak down.